A great opportunity was presented to me a couple of weeks ago, so my wife and I took full advantage. Leaving our home in northern Virginia, we headed to east Tennessee to spend the weekend with a dear friend. Well, they did not want to sit around and do nothing, so we loaded up the old SUV, and headed to Nashville. 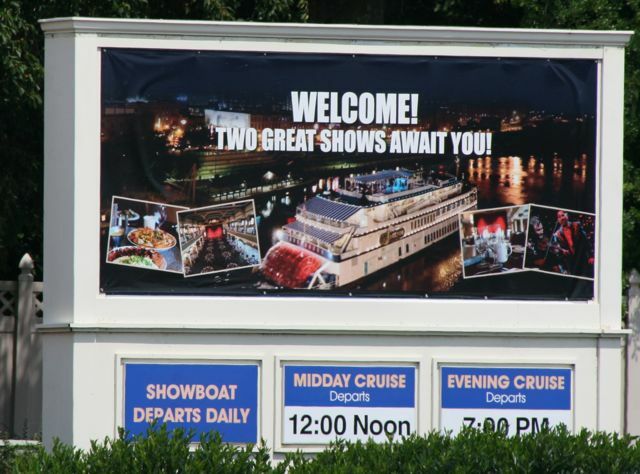 It was only a day trip, and we had had Tickets to the General Jackson showboat. The folks that put on this show are very friendly. We load up the car, pick up another friend and off we go. Arriving about an hour before departure gave my wife and her friends the chance to go shopping at the near by mall. Then we grab our tickets from the desk and off to the pre-boarding area, where there is a musician entertaining us while we wait. Directions for what to do are announced and then boarding begins. 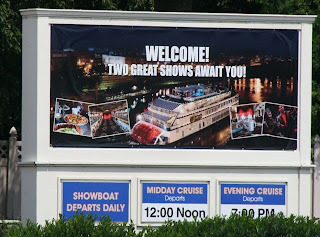 During the 3 hour cruise there are two separate lunch settings. Since we were a little hungry, we got the 2nd seating. Figures. From the fan tail, that is the back of the boat for you land lovers, we can see the other showboat docked next to the pier. 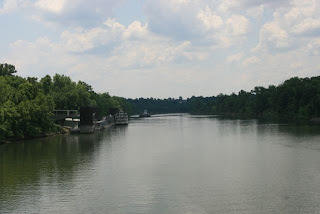 The general idea, is you load up, look around, by some drinks and enjoy a cool day on the Cumberland river. 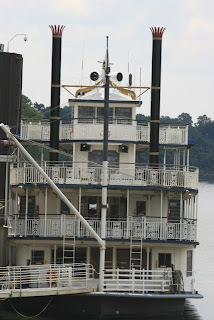 The boat, a paddlewheel, takes about an hour to get to downtown Nashville. You can see the coast of the river and they have a couple musicians entertaining you on the top deck of the ship. These guys were really good, and they mixed in a lot of comedy with music. After the ride to downtown, and setting in the sun for an hour or so, we were ready to eat. Lucky for us, they were ready to serve. It is an unlimited buffet and show. We were watching Shotgun Red and a his something or other. I forget now. Regardless, it was also a comedy musical show. All though the show seemed a little rushed, we still enjoyed the entertainment very much. The scenery was also a good way to relax on a Saturday in Nashville.